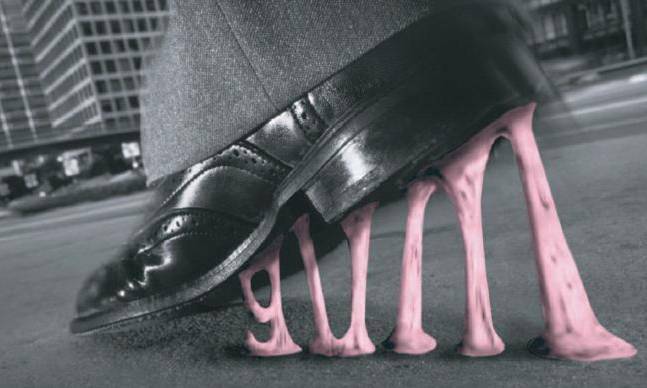 The Alliance Party has urged the Minister for the Environment Alex Attwood MLA to consider the introduction of a Chewing Gum Tax to help cover the cost of removal of the sticky substance from pavements across Northern Ireland. The Party has made their call for a Chewing Gum Tax after conducting research which indicates that removal costs in Bangor Town Centre could be £16,000 p/a with Holywood Town Centre clean-up costs in the region of £6,000 p/a. No clean-up is currently taking place due to the high costs incurred. Commenting on the issue, Alliance Environment Spokesperson Anna Lo MLA stated "Chewing Gum is rightly seen as a scourge for Town Centre's across Northern Ireland. Many Town Centre's have recently been revitalised through new pavements and street furniture but are now fast being destroyed due to chewing gum and other litter which degrades the beautiful surfaces just laid. Whilst we can debate whether funding should go towards prevention or clean-up it is clear that concerted action is needed to tackle this sticky problem. The voluntary regulation regime needs tightened up without delay whilst consideration is given concerning whether a Chewing Gum Tax is practical and necessary. No longer should Northern Ireland be denied a voice at the Chewing Gum Action Group. Valuable lessons can also be learnt concerning how Ireland have approached the issue". Commenting on the tax raising implications, Alliance MP Naomi Long stated "After thoroughly researching the matter it remains unclear whether Northern Ireland Assembly would have the power to raise a specific levy on Chewing Gum products to cover prevention and clean-up costs. I have therefore tabled a question to HM Treasury in an effort to establish if any legal basis exists for a tax and, if not, whether Northern Ireland can be offered a place at the Action Group table". Concluding, North Down Alliance Councillor Andrew Muir stated "With clean-up costs in North Down potentially in the region of £22,000 each year and both Bangor and Holywood Town Centre's due to receive new pavements and public realm schemes in the near future I am most concerned that Northern Ireland lacks the necessary powers to tackle this problem. With North Down Borough Council facing the prospect of having to pass on the £22,000 clean-up costs to the rate payers once each Town Centre is spruced up action is urgently required. No longer should chewing gum companies be able to cream a nice profit each year whilst rate payers suffer the financial burden of removal. I welcome the support offered from the Association of Town Centre Managers toward some form of tax on gum to help fund a clean-up and look forward to hearing the views of Minister Attwood on the issue."